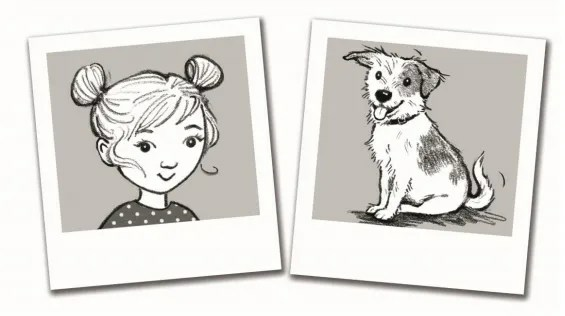 HarperCollins Children’s Books has acquired a new young fiction series, DOTTY DETECTIVE, from popular author/illustrator Clara Vulliamy. “Featuring a new girl hero for the 5-8s, the adventures of schoolgirl sleuth Dot are all set to hot up the market with a unique combination of illustration and text bouncing with humourand fun, from an acclaimed author. World rights in the three-book series were acquired by Ruth Alltimes (Publishing Director for Fiction, HarperCollins Children’s Books) in a deal with Hilary Delamere at The Agency (London) Ltd. The first book in the series will publish in paperback in March 2016 in a daringly dotty package with gorgeous girl appeal. Book two publishes in August 2016 and the third title follows in January 2017. Books illustrated by Clara have sold over 50,000 copies in the UK but this series will be Clara’s first solo foray into young fiction. Dot’s story is told in a unique diary format of hilarious Tweet-style observations, selfie pics (artworked by Clara), under the duvet moments back at ‘HQ’ (Dot’s bedroom) and clues that Dot finds and sticks into her book. She’s an everyday girl, but one who isn’t afraid to say what she means and make you laugh whilst she’s saying it. And with the help of McClusky, her faithful sidekick hound, she is always ready to sniff out a mystery. The books are packed full of humorous scenarios from both home and school that every young girl will recognise. Clara Vulliamy trained in Fine Art at the Ruskin School and the Royal Academy. She lives in Twickenham with her husband and their two children who provide inspiration for her work. She is the daughter of author and illustrator Shirley Hughes and has written and illustrated numerous stories for children and babies, including the highly successful Dixie O’Day series, a collaboration with her mother.